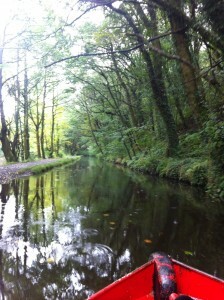 The Neath & Tennant Canals Trust operate a 20 foot trip boat licensed for twelve passengers for public canal cruises from Easter through to the autumn. The boat is also available for group hire and private charter for school trips; special celebrations; children’s birthday parties; picnics; social outings; corporate events and interested parties. Enjoy one of the best kept secrets of the Neath valley from an entirely different aspect ! A range of reasonably priced souvenirs are available to purchase onboard as a reminder of your cruise. Canal cruise trips recommence Easter Saturday 26th March 2016 and will run every Saturday until the autumn, commencing at 11:00 and running hourly thereafter on demand, and weather. The last public cruising day will be Saturday 24th September 2016. The boat will also run on bank holidays, but not on Sundays. During the main Summer school holiday the boat will also run on Tuesdays and Thursdays. 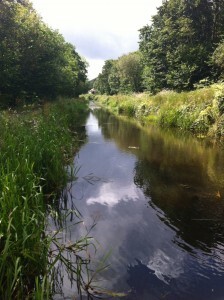 For almost 25 years, since 1990, thousands of passengers have been conveyed along the waters of the Neath Canal on the THOMAS DADFORD crewed by experienced volunteer boatmen, all licensed by Neath Port Talbot County Borough Council. The Maritime and Coastguard Agency, now requires each experienced volunteer crew member to hold a navigational qualification in boat management in order to demonstrate competency and committment to passenger safety. The boat is a custom built 20 foot trip boat, and can carry up to 12 passengers. It is called the THOMAS DADFORD after the Engineer responsible for planning and supervising the initial construction of the Neath Canal . To see what a leisurely trip on a sunny afternoon down the Neath canal is like, we have included a short video for you below. The video is just over one minute in length. The boat is berthed at the landing stage, between B&Q and Morrisons in Neath Town Centre, and is located by leaving the A465 dual carriageway at the Neath exit. At the first roundabout take the first exit travelling from the south of the county and the third exit from the north, continue to the next roundabout taking the third exit, passing the school / college complex on your left. Continue to the next roundabout taking the second exit, at the traffic lights turn left. Continue to the next set of traffic lights and turn right which will take you into a small Council car park or the car parks of Morrisons and B&Q. A footbridge links the stores and the boat (when running) operates from the bridge steps to the canal. Trips run on most Saturdays (from Easter until the autumn ) and start at 11:00am, with further trips at 12:30pm , 1:30 and 2:30pm, 3.30 depending on demand. Fares are £5.00 for adults and £2.50 for children. Children must be accompanied by an adult at all times. Small push chairs etc. may by carried on the foredeck (or in the cabin) at quiet times, with the agreement of the duty crew. 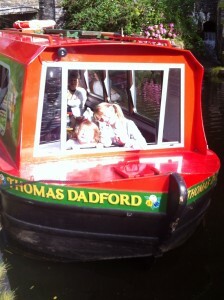 To hire the boat for a private trip for up to 12 passengers, please contact MARTYN LYDDON on 07951 786911. Martyn will give you fuller details and endeavour to arrange for a crew to be available for your chosen date and time. An approximate two hour trip will cost £75. The trip length is presently limited, due to a low bridge immediately downstream from the point of embarkation and refurbishment of locks upstream. Groups of more than 12 can be taken in staggered parties, or smaller groups may wish to cruise more leisurely and bring picnics with them. 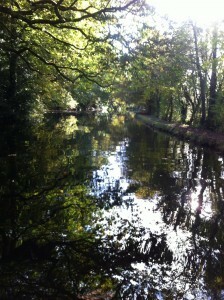 We are a voluntary body and all proceeds from the canal trips are used to improve the canal for the benefit of all. Donations to this end are most welcome and we are also keen to encourage new society members. If you are interested in joining us, please take a look at our membership application form and membership details. We are extremely grateful to the Neath Canal Navigation Company, owners of this private canal, for allowing us (and you) to enjoy this very attractive feature of the lovely Neath Valley.